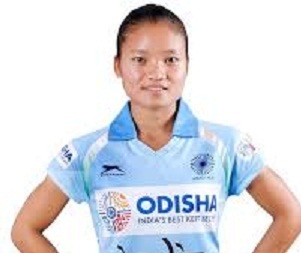 Drag-flicker Gurjit Kaur scored a hat-trick as the Indian women’s hockey team thrashed lowly Indonesia 8-0 to begin its Asian Games campaign on a rousing note on Sunday. A report published in the The Indian Express stated that the Indian side, ranked highest in the competition at ninth, completely dominated the Pool B match against the home team who does not even feature in the FIH rankings chart. The report further stated that Gurjit found the target in the 16th, 22nd and 57th minutes while Vandana Katariya (13th and 27th) struck twice. Udita (6th), Lalremsiami (24th) and Navneet Kaur (50th) were the other Indian scorers. India had as many as 31 shots at Indonesian goal while the hosts did not have any in the whole 60 minutes of four equal quarters. The Indians got as many as 19 penalty corners but could convert only three, all through Gurjit. The Indians were on an attacking mode from the start and got a penalty corner in the fifth minute but it was wasted. The next minute, India took the lead with Udita scoring a fine field goal as she lobbed the ball into the net from close range off a rebound from Namita Toppo’s shot. In the 13th minute, Vandana made it 2-0 for India with a superb goal after a slick interchange of passes. Just a minute into the second quarter, India took 3-0 lead with Gurjit finding the target with her drag-flick off a penalty corner. Four minutes later, Gurjit’s another penalty corner was stopped by the Indonesian goalkeeper. But in the 22nd minute, Gurjit’s lethal drag-flick could not be denied as it sounded the boards to make it 4-0 for India. The goal spree continued with Lalremsiami making it 5-0 two minutes later and in the 27th minute, India were 6-0 up as Vandana scored her second goal of the match through a penalty corner variation. The Indians led 6-0 at half time but they could score only two goals in the last two quarters. In the 42nd minute, an Indian attempt from a penalty corner was saved by the Indonesian goalkeeper who stretched herself to stop two rebounds that resulted from the shot. From another penalty corner in the 49th minute, the ball was cleared from the goal-line by the Indonesian goalkeeper. The Indians scored in the 50th minute with Navneet tapping in the ball from close range. Three minutes from the final hooter, Gurjit completed his hat-trick with a powerful flighted shot from a penalty corner which gave the Indonesian goalkeeper no chance. India, who won a bronze in the 2014 Asian Games, will take on Kazakhstan in their next match.